Buying a smartphone is always tricky since there are lot of options to choose from and it gets really annoying when there are 10 to 15 options at the same price point. Back in olden days when mobiles were first introduced they were just meant for calling or texting and playing some simple games like ‘Snake’. As technology got more advanced the phones got bigger, slimmer and more efficient. Then came the ‘touchscreen smartphone’ era, which changed everything. Blackberry’s were no longer the smartphone of choice after Steve Jobs’ historic keynote announcing the iPhone on March 21 2007. Since then, iOS and Android smartphones have dominated the market with a market share of more than 95%. With the Chinese manufacturers entering the mobile market in India, Indian consumers have now begun to prefer value-for-money feature-packed smartphones over expensive phones from established manufacturers. However, there are still plenty of questions that a consumer has in mind before spending his hard-earned money on a mobile device. Which is the best camera phone for my budget? Which screen-size is better 5 inch or 5.5 inch? How much RAM (memory) is sufficient for to smoothly run the latest version of Android? How much internal storage space do I need; 16GB, 32GB, 64GB or more? Is it better to buy from Chinese manufacturers like Xiaomi, Lenovo, Asus or should I spend more and buy from Apple, Samsung, Sony or LG. For people with a bigger budget, there is confusion over operating system too – Is iOS better or Android? Should I purchase the phone online or retail store in my city? Is buying online from Flipkart or Amazon a safe option? And finally, a question that almost every Indian Consumer has in mind before making any purchase decision – What is the best value-for-money mobile phone in my budget? On this page, we explain in simple words about each component of a mobile phone – which will not only help you understand your phone better, but help you in making a good purchase decision in the future. Now choosing the best one among all these is certainly the most difficult task. Thus to help you find the suitable phone as per your requirements, We have made this buying guide that lets you understand the different aspects of the mobile phone. Size: This is one of the most important aspects to be considered while buying a phone. The screen size is the measurement taken diagonally. It varies from 4.0 inch to 6.5 inch i.e 4.0 inch being the smallest and 6.5 inch being the biggest which is also called as a ‘Phablet’ (Phone + Tablet). 4.7 inch display is usually small in size and will be priced around Rs 4000 – Rs 7000. These smartphones won’t be ideal for heavy gaming or to do any office work. But if you are looking for a smartphone to do web browsing or calling and texting with decent camera then this is ideal. 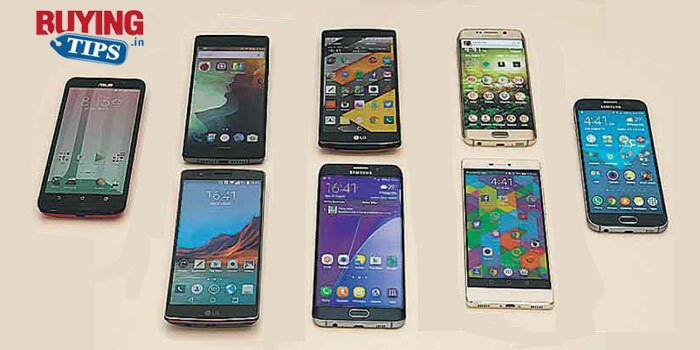 5 inch to 5.5 inch smartphones are usually very ideal to use. They fit perfectly in your hand and can be easily operated. It is good for gaming, surfing, taking videos and pictures and for watching movies. These smartphones are priced around Rs 8000 to 50000. 6inch to 6.5inch are usually not recommended until unless you need a phone with a huge display. It doesn’t fit in one hand and is also difficult to operate. Mostly good for gaming and watching videos. If you call to much we would recommend you to buy bluetooth along with this as it is very difficult to hold the phone in one hand. It’s also important to consider the pixel density of your device, which is known as PPI (Pixels Per inch). PPI is nothing but pixels that are squeezed into one square inch of your display. In real world usage, when the PPI is higher than 300, human eye cannot differentiate between pixels. Hence, the text and images on the display look crystal clear. When the PPI is lower than 300, that’s when you begin to notice the difference between pixels. Type : There are mainly 6 types of display and they come with some protective layer called as Corning glass or scratch proof resistant. TFT LCD : Also known as Thin film Transistor which is mainly used in most of the phones, offers better quality picture and colours but poor sunlight legibility and viewing angles. These type of displays drain lot of battery. IPS LCD : IPS stands for In Place Switching. Is a much superior display than TFT, offers better colours, viewing angles and sunlight legibility. Is a bit expensive than TFT display and consumes battery as well. OLED : The Organic Light Emitting Diode (OLED) are much better compared to LCD displays mainly because of their wider viewing angles, sharper and brighter pictures, good sunlight legibility, fast responses and is extremely light weight. AMOLED : Active-Matrix Organic Light-Emitting Diode (AMOLED) is almost similar to OLED display, offers similar features and may be slightly better picture quality. Most of the Samsung phones come with AMOLED display. SUPER AMOLED : Was developed by Samsung, is one the best displays and also the thinnest. It is much more responsive than AMOLED display. RETINA : These displays are mainly used in iPhone’s. They call it Retina because The pixels cannot be identified individually by the human eye, does making the display look brighter and sharper. Design and build quality of the phones also plays a major role while buying the phone. The phone has to look and feel premium. Back in those days phones were much heavier, bulkier and were made up of plastic. But these days phones are much more lighter and better looking. Materials make a difference in the look and the feel of the phone, That’s not to say a phone’s performance is completely unaffected by materials. Indeed, the phone’s design itself can change depending on the material used on the outside. Although these days many phones have come up with different materials like rubber and wooden panel at the back, There are mainly 2 types of material used in making the phone. Plastic : This kind of material is mostly found in low budget phones. Plastic does feel and look cheap but provides good grip. It also doesn’t heat up while playing games and feels very light to hold. The only downside is that it is a bad conductor of heat and hence a company cannot use plastic if they want to use better and faster processor. Metal : Metal looks and feels very premium, even low budget phones uses them. They are good conductor of heat and hence can restrain any kinda heat. Although sometimes it is unbearable to touch after intensive gaming. The only disadvantage about this phone is that it feels heavy and very slippery as well. So one might need to buy a case along with the phone. 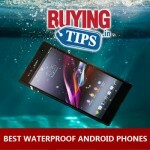 There are waterproof and dust proof phones as well which does resist the phone from getting damaged. There are only few phones with this kind of technology that is available in the market. Primary/ Back/Rear camera : These days most of the camera come in 13 megapixel, 16 megapixel and 20 megapixel back camera. Now this doesn’t mean that higher the resolution better the picture quality. It depends on the display quality and aperture as well, aperture means the amount of light that can pass through the lens, it is also referred to as the F count. Generally smartphones come with either F2.0 or F2.4 aperture. F2.0 produces much better wider pictures than f2.4. It captures much better low lighting pictures as well. Some mobiles come with dual flash that takes good pictures in indoor condition. While buying a phone also look for optical image stabilisation also known as OIS. This lets you click stable pictures even while you are on move. Then there are other features like panoroma which takes 360 degree pictures and also the burst mode that lets you click continuos pictures within few seconds. Secondary/ Front/ Selfie camera: Over the years, front camera has gained a lot of popularity. Everybody wants to take a good selfie camera and there are some phones which are only meant for selfies like Asus Zenfone Selfie which takes excellent selfie. If you are looking for a good selfie phone than consider a phone with at least 5MP front camera. It also comes with flash and can be used for video chatting. Video recording: Most of the phones these days come with video recording. Phones can record at 720p, 1080p and 4K video recording. Most of the phones come with these setting. 720p videos come out washed out and a bit blurry but takes less storage space. 1080p is best for recording as it takes minimum storage space and you get the best video quality. 4K is one the best in terms of video recording but takes a lot of space. While buying a phone also consider the phone to have optical image stabilisation in order to get a stable video, without this most of videos come out shaky. Type: You might have come across processors like Snapdragon, Mediatek, Intel, Apple A9 and Exynos. Now all these processors have their own advantages and disadvantages. Some snapdragon processors have heating issue and some don’t. Meanwhile Mediatek processors are mainly found in low budget smartphones and Snapdragon are found in high budget smartphones. Apple A9 is only found in apple phones and Exynos is mainly found in Samsung. These days many mid budget phones are coming up with Snapdragon processors. Cores : Speed and multi tasking of any device is directly linked to the cores the processor has. The higher the cores the better it performs. These smartphones comes with dual core, quad core, octa core and recently introduced Deca Core. If you are looking for a good gaming phone than go for a processor with quad core or octa core. Dual core cannot handle heavy games. Clock speed : It determines the speed of the processor. Generally phones come with 1.2 to 2.7 Ghz (Gigahertz). 2.7 Ghz being the highest. The higher the speed the better it performs. Graphics: Now graphics depends on the processor as well, if the phone has a good processor than the smartphone can handle any kind of games without any issue. Most of the smartphones with Adreno GPU can handle heavy games and provide the best experience in terms of clarity and graphics. There are only 2 types of operating system and each softwares has got it’s own positives and negatives. IOS : It is the most restrictive operating system, currently running on Apple A9. It is pretty summed up to iTunes and app store. You don’t have the flexibility to download any songs. If you own a Apple laptop, MAC and iPad then it is a good decision to go for iPhone. The only advantage about owning an iPhone is that you get an immediate software update unlike Android. iPhones are very expensive as well. Android : Most of the companies use Android operating system. It is one of the most customisable operating system, you have the freedom to download any songs and can custom in a any way you like. The only downside about owning a android phone is that you don’t get updates immediately, you will have to wait for considerably amount of time. Other than that android phones are reasonably priced. Storage and memory is very important for those who like clicking a lot of pictures and also for gaming. RAM : For any smartphone to run smoothly RAM is very important. RAM is nothing but the random access memory that helps the smartphone to execute programs without any problem. RAM is combined with processor as well, higher the RAM the better it performs. Usually phones come with 1GB to 6GB. 2GB RAM is more than sufficient for a smooth performance. 6GB RAM is just a number, you don’t need so much of RAM in a phone. Internal Memory : Internal storage is very important for those who store lot of pictures and games.Most of the phones these days come with minimum of 8GB internal storage which is sufficient to store some files. But if you are looking for a smartphone with huge storage, then we recommend you go for a phone with expandable memory card. Battery life is the most important feature in the phone, without the battery all the above features makes no sense. In order to buy the best phone always look for a good battery life. Every phone has its own battery life cycle. Now these can be determined by mainly these factors. Consumer use : These days many of them use smartphones for almost all the purpose may it be for personal use or office use. Most of them cannot survive without their smartphones. Hence buy a smartphone with good battery life. Normally smartphones with HD screen last longer, However these days everyone prefers phone with Full HD screen or Quad HD screen. Charge Cycle : Now normally every phone comes with a certain charge cycle. So it is always recommended to charge the phone once it hits 40 %, this way you don’t have to worry about the battery draining out very often. The phones these days come with fast charging technology that helps you charge within 1 hour, so this takes the burden of charging it overnight. Li- Ion Batteries : Most of the phones these days come with Li- Ion batteries that are much lighter compared to older batteries. The length of the time that these batteries last depend on mAh, Milliamps deleivered per hour. The larger the screen, the larger should be the battery and hence if the phone sports a 5.5 inhc Full HD screen the battery should be atleast 3000 mAh. Not too long ago mobiles used to come with single sim slot and these days most of the phones come with Dual sim slot, some phones come with hybrid sim slot that is you can either use a micro sim with Micro SD card or Both the sims together. Dual sim phones are much better than single sim phones, mainly because it is flexible to use and cost effective. In other words its like using two devices in one. However these devices tend to drain battery of the phone within no time. 2G: Most of the phones these come with at least 3G connectivity. 2G connection is very slow and cost effective. 4G: 4G also known as LTE is available in most of the phones. Is a lot faster than 3G but most of cities don’t support 4G. So until all the cities support 4G it is a waste. Wifi :This lets you connect to the near by wifi router and allows you to access internet. Very useful incase you are working on the phone and also lets you save your data package. But being on Wifi through out the day can drain a lot of battery. Wifi Hotspot: Allows others to use your phone as wifi router. NFC: Allows you to transfer the data from one phone to another by just bumping the back of the phone to each other which support NFC. Does the job quickly. Bluetooth : Allows you to transfer files, photos and music via bluetooth. The only disadvantage is that it is a bit slower than NFC. GPS: Allows you to locate your current location and helps you to navigate to your destination. Very useful when travelling, helps you to locate all the places, hotels and restaurants. It does tend to drain battery. Ambient Light sensor : This lets the phone to detect the light around you and automatically adjust the lighting according to your needs. Proximity sensor : That disables the phone screen while you are talking, this allows you to talk without any issues of hanging up. These are main things to consider while buying a smartphone. Let us know if you have any doubts.